The sun’s precious energy is being drained by an army of UFO space vampires, say some paranoid alien hunters. The swarms of Earth-sized spaceships are slowly killing the Earth, and we are none the wiser. Alien UFO is Destroying The Sun Because of its Energy. And here is something you should know. UFO blogger Scott Waring has been warning about energy-sucking aliens who are stealing energy from the sun. This theory comes from world-famous alien hunter Streetcap1. He reportedly saw a large, odd-shaped spacecraft hovering just above the spitting fire of the sun. The alleged mothership looked like it was sucking out the star’s lifeblood through some sort of straw. The blurry images were taken by NASA’s SOHO satellite earlier this week. Of course, the poor image quality doesn’t allow one to get a good look at this object, making it a perfect candidate for a conspiracy. Various UFO hunters have reported seeing this image floating around the sun many times. According to the UFOlogists, the object is always parked right above the star. It’s possibly refueling its tank for a long journey down the interstellar highway. However, not everyone believes in this theory. 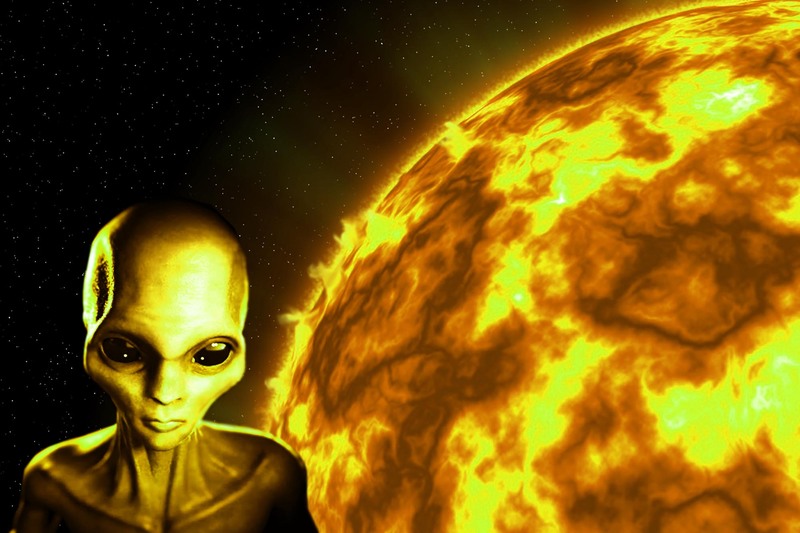 Waring’s theory suggests a race of aliens out there who are starved for resources. These beings ruthlessly steal the sun’s energy. Scientists estimate that there is a lot of time left before the great big fiery ball in the sky dies out. However, alien hunters, such as Waring, think otherwise. If these space vampires keep sucking out the golden nectar that we need to survive, the star and life as we know it will cease to exist. However, NASA certainly doesn’t take them seriously. It’d be nice to see someone offer a solution to all these UFO conspiracies.